This one,though, is a standout. One of the threads through a number of the books I have read is that,as in this book, the writer really projects a love for the instument. I have played the trumpet, as an enthusiastic, largely self-taught amateur, for many years and own a whole variety of trumpet tutor books; most are incredibly daunting, immediately too demanding and are, all-in -all, not much fun! This book is quite different - it has a very attractive, friendly approach, is extremely well presented (although I do wish it had been spirally bound), deals with all the basics and more and has plenty of tips and simple, attractive 'how to do,' 'how to approach' ideas. The book is thorough and covers all the basic techniques of playing and the usual pitfalls and problems, but in an attractive, friendly way. There are also, within its pages, pentatonic chord charts, listening suggestions, further sources of study and music, suggested practice routines and charts etc. and even instructions on how to correctly clean and maintain the instrument! This book will be useful to both the beginner and the more experienced player, is excellent value, and I give it my highest recommendation, but do so wish that it had been in print 30 years ago!! I played trumpet in high school, rock guitar professionally for ten years and studied piano for as long. After reacquainting myself with some CD's from my youth I was inspired to pick up the trumpet again. Looking for a guide to get me off on the right foot I came across this book. It covers about every topic you can think of concerning the trumpet. It's an easy enjoyable read packed with trumpet history, instruction, recommended CD listening and much more. He deals with classical music as well as jazz. The examples in the book have mp3 files that can be accessed on the author's website. I think any level of player can find something of interest in here. I'm returning to trumpet after 20+ years away. The last time I seriously played was in 8th grade, when braces made it less and less fun. This book fit my background pretty perfectly. It explains the why, and not just the how. After all these years, it's extremely helpful to see what those exercises were about, and what some of the people around me were talking about. I also like that he's included a large dose of music appreciation in the book, recommending albums and performers to explore, and telling stories that help keep the memories around. I don't think I could recommend it for a complete beginner. I'd have been overwhelmed if I tried to learn everything from this, as there's simply so much covered. 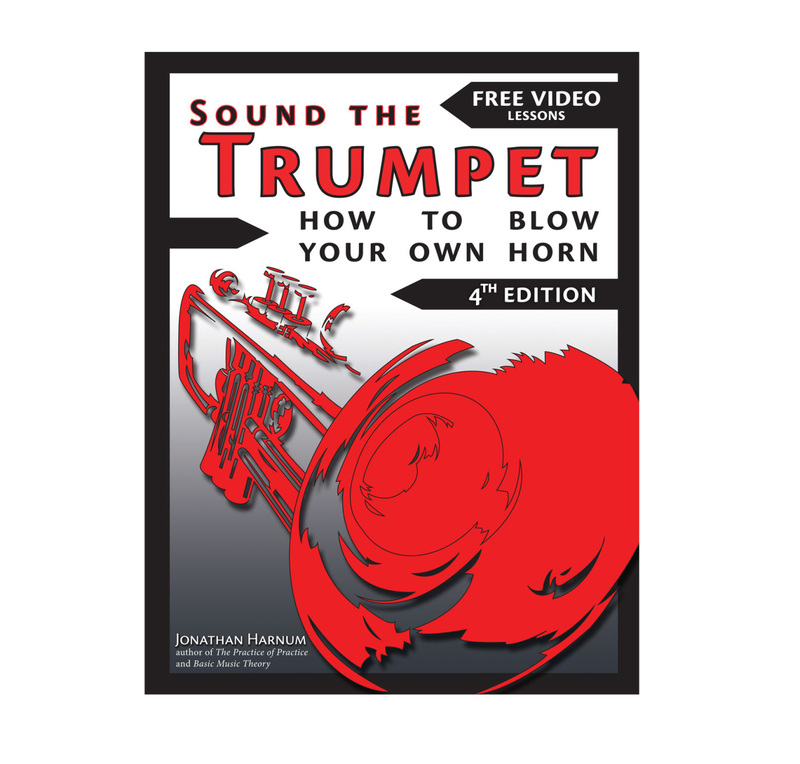 I'm happy to see detailed information on cleaning a trumpet, something I'd never learned before, as well as whole chapters on key techniques, equipment, and outside the trumpet aspects like transposition and performing.